You are one of the few MozartEra scholars and, at the same time, one of the few MozartEra performing musicians, who has also a direct experience of the real repertoire of the 18th century, beyond Mozart. According to your experience, what's the real technical striking difference between Mozart and his father, Mozart and Vanhal, Mozart and Haydn. In the case of Mozart and his father, what I notice most - especially as a performer - relates to control of movement within a measure or phrase. This aspect is perhaps more effectively felt than described analytically against the benchmark of musical notation. In performance, the greater suppleness of rhythm that Wolfgang attains compared to his father (who published several rather good solo keyboard sonatas that I recorded a few years ago) is a factor that is unmistakeable the moment you consider how you might interpret phrase shapes. Vanhal is a very fine composer, who comes much closer to Mozart in terms of the control of material in relation to overall structure. Vanhal achieves a distinctiveness of voice (especially in sonata forms) that few of his contemporaries matched; for instance, if you were to switch on the radio during a movement of Vanhal, you could immediately tell from the nature of the material exactly where you were in the course of the structure. With Haydn, that is not so easy, as his exceptional command of musical material allows him to juggle ideas in unusual ways that go beyond typical expectations. For Haydn, musical discourse lies on the border between perception and expectation, creating an expressive field around which those two essentials of communicative possibility have to adapt in each piece! Mozart's expressive parameters rarely work in this way, though he sometimes achieves nearly the same thing in terms of phrasing, for instance in the minuet theme from the Hunt Quartet, K.458. You have played an important role in the preparation of The Mozart Project - The First Interactive Book on Mozart for iPad (itunes.apple.com). What have been the great challenges and the great accomplishments, you experienced with this special work? Looking back on this project, now the recipient of several international awards, including iBook of the Year and Best Musical Work in 2015, I think the main challenge was writing the front page chapter texts in such a way as to draw the listener into an unfolding story, and tempt them to explore the book's amazing hypertext functionality (including multiple layers of audio, video and text that deepen the understanding). I regularly had to resist the urge to give too much explanation on the surface level, leaving that for the hyper texts. Another challenge was organizing the two chapters I wrote in such a way that their various sections could be independently read in almost any order. I greatly enjoyed being able to record quite a few audio and video performances with Ensemble DeNOTE (including three videos specially-filmed for this project) that hopefully give users an insight into period performance matters. I think the book's greatest accomplishment is its flexibility: addressing itself to any reader, whether familiar with Mozart, or coming to his work for the first time. That flexibility has now extended into a stage show, The Mozart Project Live! 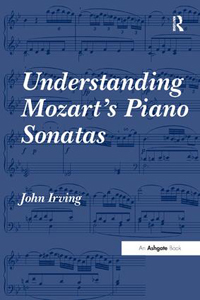 (johnirvingfortepianist.wordpress.com), supported with funding from Arts Council England, which presents a journey through Mozart's chamber music in a combination of live performance and extracts from the original iBook. Sometimes, listening to Mozart's Piano Concertos and then to Mozart's Piano Sonatas and then to the other piano works by Mozart, a common listener perceive a sort of difference in the type of pianism, actually used by Mozart. What's your opinion on this? Mozart always had a keen sense of scale, as you would expect from a man of the theatre. The nature of material, along with presentational aspects including register and texture, rarely misfires because it was so closely suited to context. So, the solo piano music was conceived for presentation in a domestic setting (in a Viennese salon, for instance), whereas his piano concertos were more public genres with a pronounced sense of occasion. After his death, concert traditions developed in ways he probably did not envisage, with music acquiring a social role as a species of civic entertainment, including such things as the rise of the solo piano recital, and the vaguely comical visual spectacle of a piano concerto presented on stage with a 9-foot Steinway grand pitted against a large orchestra being directed as if by a circus ringmaster-ac-lion-tamer brandishing a long baton, while simultaneously liaising with the soloist-ac-hero. Given what became of Mozart's intimate and rhetorical language within such settings, it is hardly surprising that modern audiences perceive apparently different types of pianism in sonatas and concertos! In fact, the urge to bulk out Mozart's slender solo piano textures was felt surprisingly early, for instance in Louis Adam's 1804/5 piano method for the Paris Conservatoire, perhaps with a view to rendering them more effective on Erard pianos, rather than Viennese ones. In all these cases, though, Mozart survived the experience! Your very first technical advice to the musicians who want to begin playing 18th Century Music in a more historically informed way. Fundamentally, you need an open mind and an ability to listen. With that basic equipment, you are well-placed to let the particular instrument teach you how to play. For keyboardists, that might be harpsichords, clavichords or fortepianos - sometimes interchangeably across repertoires. The flexibility of keyboard medium found on printed title-pages throughout the 18th century is remarkable, with both harpsichord and clavichord hanging on alongside the emergent and eventually triumphant piano for a remarkably long time. As has been repeatedly shown, even Beethoven can sound well on a large late-18th-century clavichord (a medium that certainly discloses a debt to CPE Bach). It's always sad to learn of students who have been put off playing 18th-century music on fortepiano, harpsichord or clavichord by their teachers, who wrongly believe that the different touch of these instruments will ruin students' modern piano touch. Yes, the touch is different, and takes effort to master. Speaking different languages also requires hard work and a willingness both to fail and adapt, but the effort is worthwhile because of the greater fluency of vocabulary that you gain through trying (including always a gain in sophistication in the speaking of your native tongue). Above all, do not waste time thinking that your motivation to be historically informed means you are engaging in an act of authenticity, recovering the original sounds as Mozart heard and intended them. This myth is still common; regrettably it remains effective as a deterrent (see above, in relation to bad teachers). Mozart: probably the Piano and Winds Quintet K.452, especially the descending chromatic scale in the finale when played on natural horn (chromatic here in a literal sense, since each pitch has its own unique colour characteristic - modern valve horns don't come close!). Do you have in mind the name of some neglected composer of the 18th century you'd like to see re-evaluated? I'd like to hear more Pleyel generally. His output is very diverse and deserves to be better known. Name a neglected piece of music of the 18th century you'd like to see performed in concert with more frequency, especially thanks to your special experience as musician and as MozartEra scholar. C.P.E. Bach's symphonies - radical, and shocking! I think Charles Rosen's The Classical Style remains at the top of my list, even after almost half a century! Malcolm Bilson's DVD, Knowing the Score. Name a place to be visited that proved crucial to the evolution of the 18th century music. Not what you might think, but my answer is Valletta: European Capital of Culture in 2018. 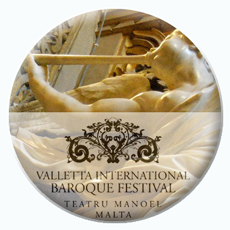 Our appreciation of 18th century music continues to evolve, and one of the most fascinating contemporary developments has been happening in the Maltese capital in recent years: the Valletta International Baroque Festival, masterminded by Kenneth Zammit Tabona. 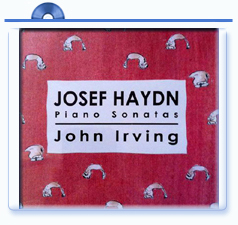 Direct links to VIBF & John Irving at VIBF. Using astonishing 18th century buildings as locations (including the spectacular Manoel Theatre), VIBF is developing our appreciation of both performing and listening to 18th century music afresh, in relation to spaces and acoustics that fire our musical imaginations. Once again, this isn't about some mistaken authenticity! It's a challenge to our creative imaginations to mould together the possibilities of instrumental sounds, historical playing styles and spaces to fashion something we've never heard before. So, dear MozartEra fans, you are all invited to these extraordinary rendezvous in the magnificent scenery of Valletta-Malta for a wonderful series of 18th century music must-be events from the Valletta International Baroque Festival to Valletta European Capital of Culture 2018! Thank you very much for having taken the time to answer our questions!